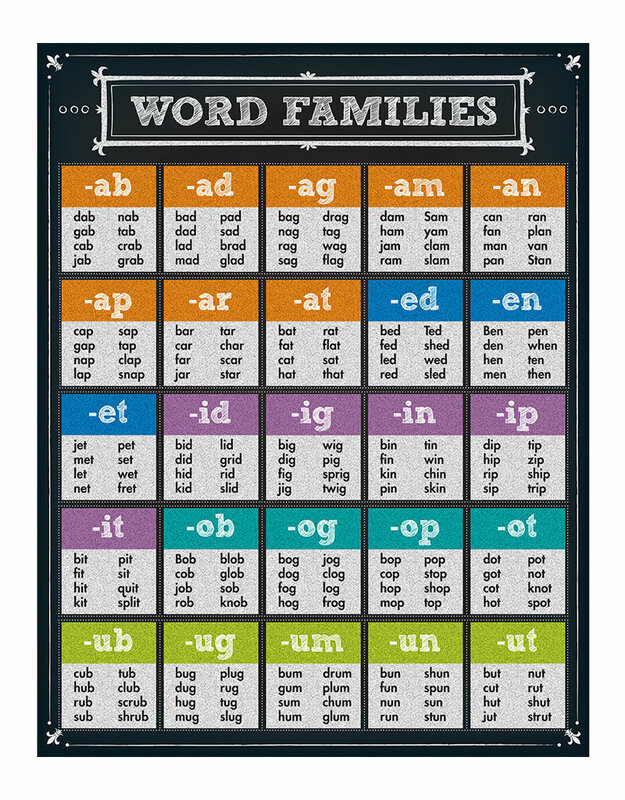 The colorful chalkboard design of this Word Families Chart is sure to capture the attention of your students while providing reinforcement of this valuable language arts skill. 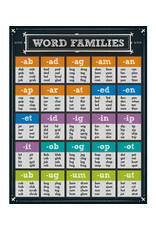 Display in a language arts center for students to easily reference. Chart measures 17" x 22".